Canton Woods is Located in the Heart of Baldwinsville at 76 Canton Street, Baldwinsville, New York 13027. To contact Canton Woods, call 638-4536. Canton Woods is Open Monday thru Friday from 8:00am to 4:30 pm (and some evenings). Senior Citizens are a valuable community resource. Canton Woods multipurpose Senior Center meets the challenges facing older Americans by offering stimulating social activities, education and recreation programs, nutrition, health and other activities. Canton Woods – Helping Seniors to remain active members of the community. Canton Woods is a friendly inviting place. You will be greeted with warm welcome. Any person 60 years of age or older and living in the Village of Baldwinsville or the Towns of Lysander or Van Buren is eligible to participate in all Canton Woods activities. However, any senior living in Onondaga County is eligible to come to the Center for congregate meals and to participate in overnight trips. We ask each person interested in participating in Center activities to fill out an information sheet. Stop by the Center to subscribe to the newsletter which will be delivered to your mailbox each month! The newsletter provides information on all center activities, as well as a handy calendar outlining the month’s activities on a daily basis. The charge for the newsletter is $4.00 for the year if you reside in Lysander or Van Buren and $5.00 for all others. There is an annual building use fee for seniors who live outside of Lysander or Van Buren. The original Canton Woods building was constructed as a medical center in 1968 in an effort to attract physicians to the village. Unfortunately, after a few years, they departed and the building stood empty. In 1978, The Senior Club purchased the building aided by funding from the Onondaga County Department of Aging and Youth. Unique in its original concept, Canton Woods Senior Center is one of the few rural Senior Centers where responsibility is shared by three municipalities. It is a fine example of inter-municipal cooperation. The property is owned by the Village ofBaldwinsville, with fiscal responsibility shared by the Village, and the Towns of Lysander and Van Buren. Between 1979 and 1980, the building underwent two major renovations. This included the addition of a large dining and kitchen area. Again in 1989, the dining area was doubled in size and the office space was moved to the center of the building. The recreation area was also increased in size. Two full and two part-time staff, and a host of volunteers perform the tasks needed to keep the center operating smoothly. Canton Woods Senior Center is incorporated under the laws of New York State and operated as a private, not-for profit organization by its community Board of Directors. All seniors are invited to participate in the Senior Activity Group, which elects officers each May and has a business meeting the first Friday of each month at 11:30 am. AARP Defensive Driving Classes are taught at Canton Woods throughout the year. Contact the Center at 638-4536 to find out the dates, times and additional guidelines. *Taking this class may save you money on your Auto Insurance. AARP representatives are available at the Center throughout the tax season to assist with tax preparation. You will need to bring all your records- W2′s, 1099′s and IT forms sent to you by the IRS and State Tax Department, and your previous year’s returns. Appointments are available from 10am-1pm each Tuesday and Thursday. Call the Center to make an appointment at 638-4536. Canton Woods has a Notary Public available by appointment only. If you wish to meet with a notary, call the Center at 638-4536 to set up an appointment. The Neighborhood Advisor Outreach program is funded by the Onondaga County Department of Aging and Youth. The Outreach Program’s goal is to reach isolated seniors in the Towns of Lysander and Van Buren by providing information, referral, and assistance accessing services. The Outreach workers will help seniors determine eligibility and fill out forms for entitlement programs. 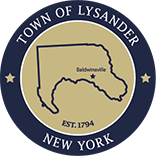 The towns of Lysander and Van Buren each have an Outreach worker dedicated to serving the needs of the seniors within that town. They are available by telephone through Canton Woods at 638-0097. The B’Ville Express, at Canton Woods, is operated through a grant from the Onondaga County Department of Aging and Youth. This program coordinates volunteer drivers with seniors in need of transportation to essential services. For further information call the B’ville Express Coordinator at 638-0097. The Meals on Wheels program operates independently of the Senior Center and works out of the Canton Woods kitchen. They provide nutritious, balanced meals for people living alone, handicapped, or temporarily shut-in. Meals are delivered by volunteers, five days a week, including holidays. A volunteer will deliver a hot meal and a bag lunch to the door in the morning. A small fee is charged. To order Meals on Wheels, call 638-2171. Canton Woods offers free legal assistance to seniors over the age of 60. You must be an Onondaga County Resident to receive this service. Call the center at 638-4536 for more information. Canton Woods Senior Center is a multipurpose senior center with facilities for all types of recreation. The facilities include a large dining area, indoor and outdoor recreation areas, as well as a library. A wide range of programs are offered within the Center to meet the needs and interests of the diverse senior population. A few of the Center’s facilities are highlighted below. The Canton Woods Library is the pride of the staff and seniors and contains over 2000 hardcover books including monthly best sellers. There are also large print books and a wide selection of books on tape. The variety of books parallels those found in a public library. In addition, the library houses 2 Dell computers with internet access. The computers are available any time the Center is open. .Public donations to the Library are always welcome and appreciated. For more information on how to donate, call Canton Woods at 638-4536. Feel like escaping with a good movie? Canton Woods has a Free movie library available to all seniors! There are over400 titles available on DVD in the collection. Taking them out is simple and easy! Simply check out your selection like a library book, then go home and enjoy! We accept donations of DVD’s. Canton Woods Senior Center features a wonderful outdoor facility, with pavilion and picnic area, as well as horseshoe pits, bocce ball courts, and shuffleboard courts. Activities flourish during the spring, summer and fall seasons on the “back forty”… come check it out! Canton Woods houses P.E.A.C.E. Inc.’s Senior Nutrition program each Monday, Wednesday and Friday at 12:00pm. Stay connected with your friends and neighbors and enjoy a delicious, affordable lunch at one of our many Senior Nutrition Sites throughout Onondaga County. Our meals are wholesome and mostly made from scratch. The best part is the suggested contribution of $2.75. The Center offers blood pressure screening on Friday mornings at 10am. A qualified health care professional will take your pressure and help to keep track of your numbers from month to month. Come in and keep up with your health!Aurora of CNY The County West Support Group, Aurora of CNY, an organization for the visually and hearing impaired, meets each month on the fourth Thursday of each month. The group meets at the center at 12pm. Watch the newsletter calendar, as sometimes these dates change due to the Center’s schedule.Flu shots Each year, Canton Woods sponsors flu shots, given by Regional Health Care at the center. The shots are generally available in the last part of October,or beginning of November. Check our monthly calendar for the date in the Fall.Arm Chair Aerobics Canton Woods features Arm Chair Aerobics on Tuesday and Thursday mornings at 10:30am. The group meets to do simple stretching and exercising while sitting in chairs! This is a low impact exercise group that is perfect for the senior who can no longer do fast paced aerobics. Come and check us out. There is no charge for this participation in this group. The YMCA of Greater Syracuse sponsors “Active Older Adult Exercise” classes at Canton Woods Senior Center on Tuesday and Thursday mornings at 9:30am. The class format is extensive, with emphasis on strengthening, aerobics, flexibility and relaxation, and floor exercises for abdominal, hip and leg strengthening. The group is under the experienced leadership of a YMCA instructor . There is a fee for this program.